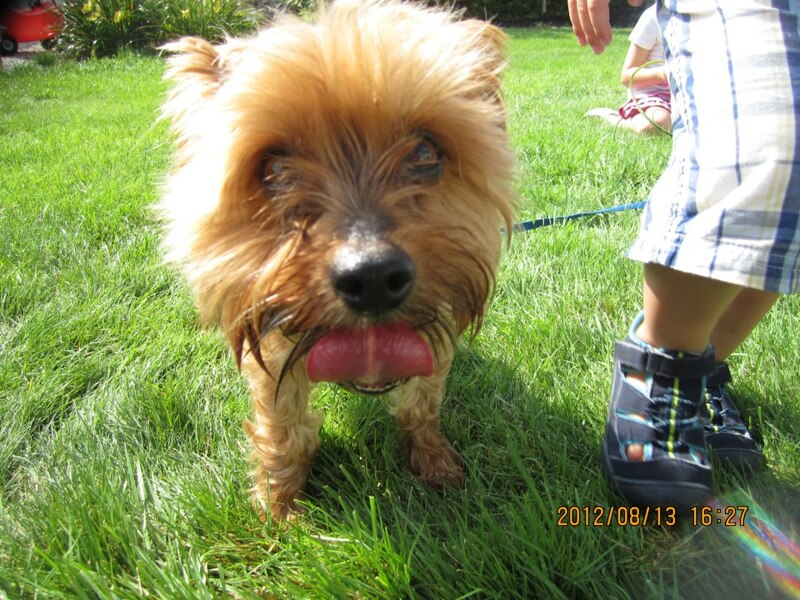 Additional Info: FOUND DOG: Upper Tantallon/ Wildstone Lane/Halifax County MALE: Yorkie, appears to be 7-9 years of age, not wearing a collar. Found Aug.13/12 at approx. 4 pm. 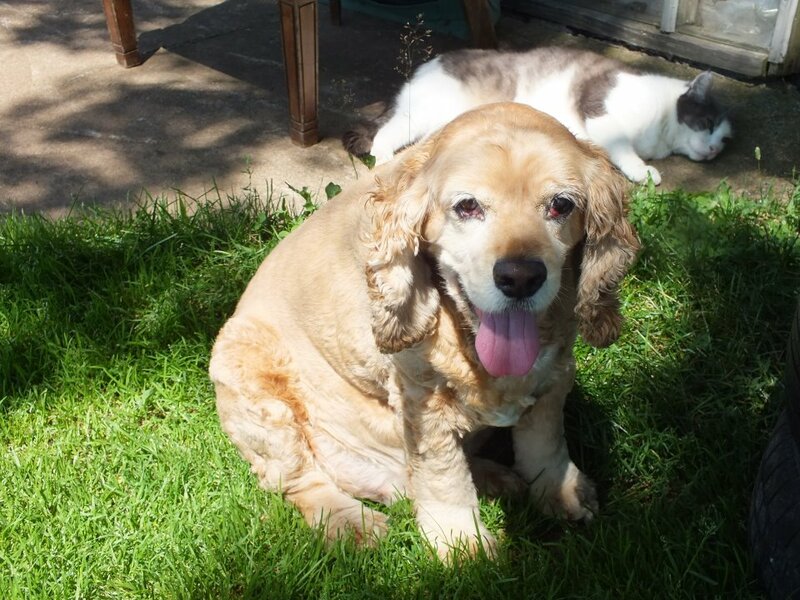 Additional Information: FOUND DOG: Glace Bay/135 Fifth Street – the Hub/ Cape Breton Co. 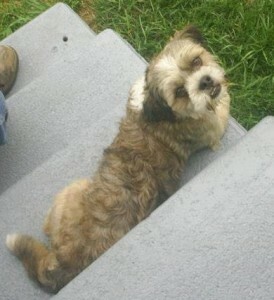 Male: Shih Tzu or mix, 8-12 months, brown and white markings, wearing a black collar. Found Aug.11/12 at 11:30 am. Additional Notes: Kaos is tan with white makings on his chest. His coat is very short and smooth. He has a very docile temperament. 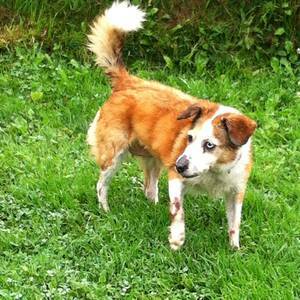 Kaos has arthritis and is not a runner. If he is called he will come to you. 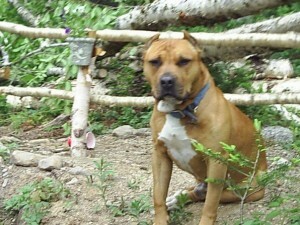 Kaos was in our yard off leash with my other dog, she heard something in the woods and took off and he followed. This has happened before, when kaos chases her he becomes very sore afterwards and will lay down and not move for a long period of time. i am afraid this happened in the woods this time. 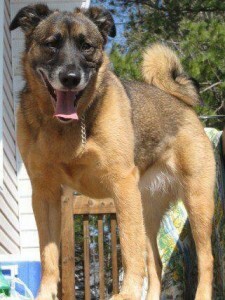 Additional Notes: Last seen at Stewiacke Town limits, short smooth black coat, very shinny. 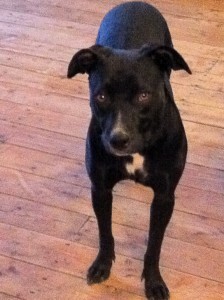 Looks like a small black lab mix to most people approx 55 lbs. Collar/Tags: White with brown! He’s wearing a blue colar with brown dots (chain draggin wiht him)! Additional Notes: This young dog was seen roaming near the Lahave River Campground in Newburne, before my dad found him in his yard Tuesday evening, August 7, 2012. 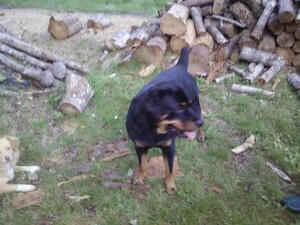 It is a young male Rottweiler; very friendly, playful and well-mannered and he made himself quite at home at my dad’s but their brand of dog food didn’t agree with him. :\ We are certain he is very missed by his family! No collar. Additional Info: FOUND DOG: Salt Springs – Mt. Thom/ Dalhousie Mountain Wind Farm/Pictou County MALE: Cocker Spaniel, tan, black collar – appears to be middle aged. 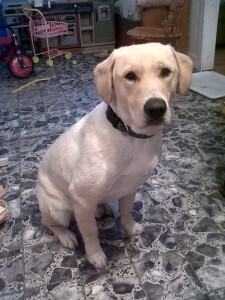 Groomed, well fed, neutered male – friendly dog. Found Aug. 3/12. Additional Notes: Willy will very nervous, my husband was walking our dogs, and a large lab off leash attack my dachshund and in the upset Willy got out of his collar and took off. orang/ brown and white. 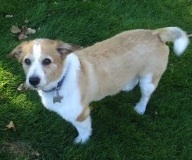 very stocky about 35 pounds, is a corgi mix but everybody thinks he is a jack russell.